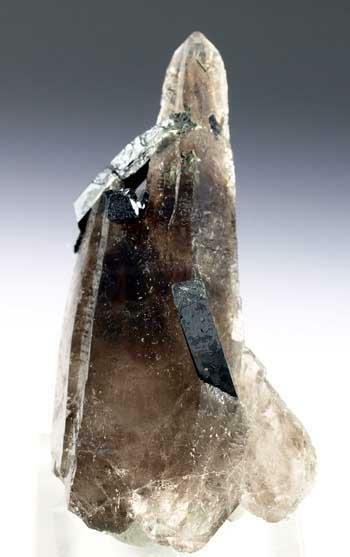 A classic specimen from Mount Malosa, a very transparent double terminated complex quartz on which 3 aegirine crystals have grown. Nice and showy. 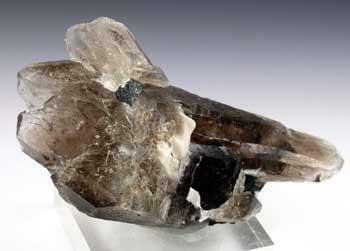 YOURMINERALCOLLECTION POLICY Policy Most minerals that we sell are from Italy or from worldwide locations. 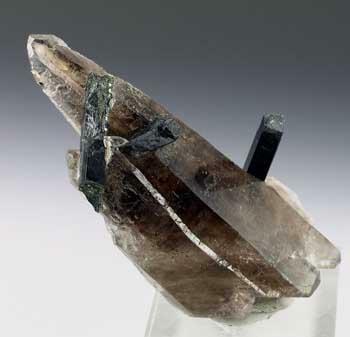 We offer minerals of excellent quality for different types of collectors and we try show the best picture in order to present all the features. 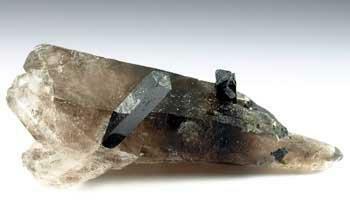 Minerals are identified and sold at the best of our knowledge. When available, analytical information is given. If not, we rely on labeling and source. If the mineral is proofed to be different from what is presented, we assure full refund of purchase. Prices Prices are net and include VAT. An invoce will be emitted and sent to customer. METHODS OF PAYMENT Credit cards : VISA - MASTERCARD are accepted throught the secure server system (Paypal). To use it follow the link that we will indicate you. Alternatively we can process directly your credit card informations. Paypal payments are welcomed. Make it to: giuseppe.siccardi@katamail.com Bank transfer for european customers is available, make payments to : MICOL DI SICCARDI GIUSEPPE Bank : Banca Monte dei Paschi di Siena - Address : VIA ROMA, 1 16121 GENOVA - ITALY IBAN : IT47H0103001400000003180021 SWIFT : PASCITMMGEN Pricing and shipping Shipping via regular international mail is used. Cost is inclusive of rigid card board container with protective material inside. No responsabily is taken for lost, damaged or stolen parcel. Registered and insured airmail shipping only on request. Please apply for it before paying your bill. An extra fee will be added. Return within 15 days after receiving the shipment. Return cost is customer responsability. Multiple orders will get only one single shipping cost. The price is determined by weight of items and the country you live in. QUICK PACK EUROPE and UPS fares on request. (on average from 30 euro up, three days delivery).